A proposal to recall Mayor Rahm Emanuel will move onto its next phase, State Rep. LaShawn Ford said. Ford met with House Speaker Mike Madigan Friday to discuss the proposal ahead of a Town Hall with constituents and other lawmakers this weekend. While the bill has been filed and sent to the Rules Committee, Ford says he’s in the process of “counting heads” to see how many would support the recall legislation. He needs 71 votes for it to pass the House and currently he has eight cosponsors. Madigan has not yet said whether he supports the bill or would even call it. He told Ford, “You have your work cut out for you," Ford said. Currently state law only deals with the recall of a governor. Ford’s bill would give the recall power to voters. 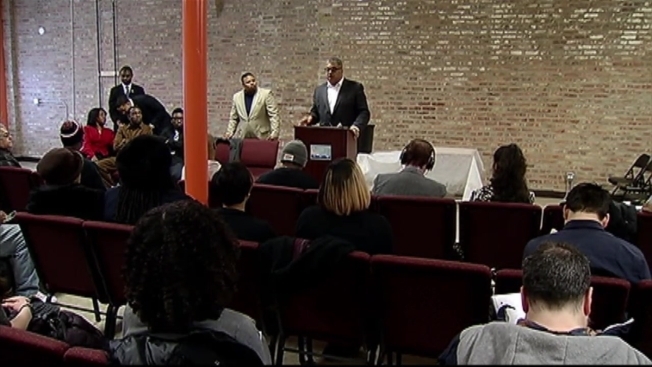 Saturday afternoon Ford and other lawmakers held a Town Hall on Chicago's West Side to hear from constituents on whether they support the recall plan and whether it should include the recall of other officeholders. Earlier this week Governor Bruce Rauner said he would sign the bill, but noted that his legal advisers tell him it would impact only lawmakers in the future, not current elected officials. Ford says it may take a court challenge, if the bill is passed, to make it effective immediately and remove Emanuel.